Builder underway on new spec home that has expanded Milano with several exciting upgrades. 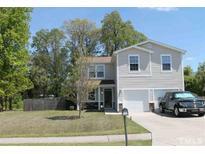 MLS#2229748. 143. This is a presale--- schedule through MLS to visit spec home at 102 S Fiori Hill Dining Room to see standard features and learn about all plans and lots. MLS#2229744. 143. Multiple plans and lots still available for you to start Living the Green Life! MLS#2229740. 143. Schedule through MLS to visit spec home at 102 S Fiori Hill Dining Room to see standard features and learn about all plans and lots. MLS#2229708. 143. This is a presale--- schedule through MLS to visit spec home at 102 S Fiori Hill Dining Room to see standard features and learn about all plans and lots. MLS#2229711. 143. This is a presale--- schedule through MLS to visit spec home of this plan at 102 S Fiori Hill Dining Room to see standard features and learn about all plans and lots. MLS#2229709. 143. This is a presale--- schedule through MLS to visit spec home at 102 S Fiori Hill Dining Room to see standard features and learn about all plans and lots. MLS#2229712. 143. Don't miss this great opportunity. Priced to sell! MLS#2229085. 4829. Historic District - New roof, updated electrical, professionally cleaned, and freshly painted this property is move-in ready. How about you? MLS#2227592. 65. Historic District - With a full finished basement with separate kitchenette this move in ready Historic Hillsborough abode is ready to welcome you home. USDA financing available. MLS#2227594. 65. Tree Farm - The home's exterior has been freshly painted and its basement is fully encapsulated. MLS#2226480. 4655. Cameron Estates - Convenient Hillsborough location with low county tax rate. MLS#2225177. 4158. West Hill - The front porch is waiting for your rocking chairs! Move-in ready! MLS#2218459. 174. 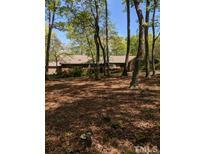 Approx 1 ac lot is privately hemmed w/ mature hardwoods & includes a fenced garden & storage building. MLS#2221801. 3048. Colonial Hills - Features include many upgrades: all new appliances, new flooring, refinished hardwoods,new custom blinds,remodeled kitchen,baths w/new fixtures and cabinetry,new HVAC system,new siding, fresh paint, updated light fixtures,Excellent floor plan w/a large family room that includes a cozy fireplace,right off of the kitchen that has direct access to expansive decking allowing for large gatherings. Extra parking. MLS#2221661. 4770. FHA financing available. HMS Home Warranty provided. MLS#2221629. 65. Walk to downtown shops & restaurants. Detached storage shed. MLS#2220948. 238. Per the prior Owners son (Not the Trustee selling the property) there is a room in the basement that was built as a room to occupy during a tornado MLS#2220613. 284. Bungalow model with unfinished basement MLS#2217515. 3325. Geo Thermal HVAC, Back-up Generator, 1st Floor Master, Loft Area with Seating, 3 Full Baths, Office/Family Room, Secluded Patio area, Large Deck overlooks wooded acreage, 2 car garage. 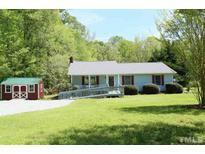 Close to CH/Carrboro, Hillsborough & RTP. MLS#2217235. 2704. Historic District - Waiting for a buyer with the vision and passion to restore this historic gem. SOLD AS IS! ! MLS#2212293. 350. Pleasant Green Farms - Innovative design and finishes will live well. MLS#2213367. 351. Screened-In Porch & Extended Deck - Perfect for Grilling! Loaded w/ Charm! MLS#2212210. 4381. Options: include full roof solar panels as well as ability for increasing the finished living space, another full (or half) bath on the lower level, and floor finishes. MLS#2208378. 3325.